The Rocket has a little more gas in the tank, it appears. 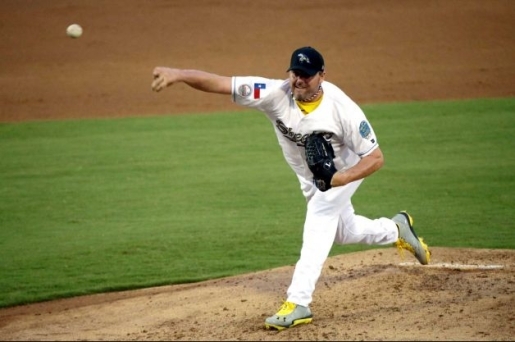 The 50-year-old pitcher Roger Clemens made a comeback appearance with the Sugar Land Skeeters and was impressive, throwing 3 1/2 scoreless innings and striking out two in a game against the Bridgeport Bluefish. Well, that one taste of baseball wasn’t enough, apparently. Roger Clemens is going to pitch again for the Sugar Land Skeeters, taking the mound for a September 7 tilt against the Long Island Ducks in an Atlantic League showdown. Randy Hendricks, Clemens’ agent, says the Rocket has an understanding with Sugar Land to pitch again. Despite being 50 and not making an appearance in the Major Leagues for 5 years, Clemens was able to pitch effectively, working in an 88 MPH fastball and effective breaking pitches against the AA to AAA-level hitting of the Bluefish. Not surprising Clemens is going to pitch again. He’ll probably keep pitching until he either A) gets back onto the roster of a Major League Baseball team or B) gets shelled and retires to preserve his own dignity. Either way, the Skeeters will take it, if only because it’ll put butts in seats.